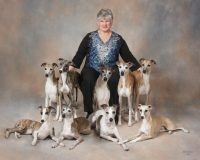 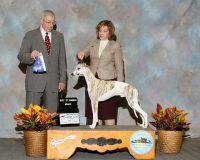 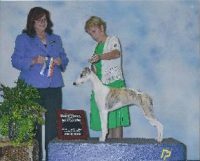 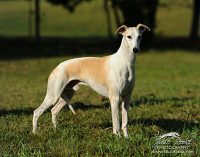 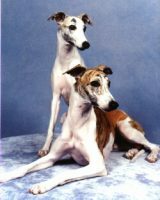 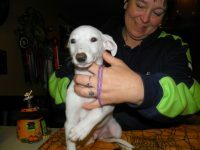 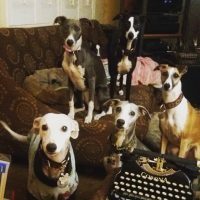 We are a small hobby kennel located in rural western Illinois, USA, and we are crazy about the whippet breed. 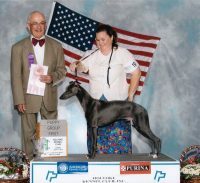 All of our dogs are AKC registered, and some are also UKC registered. 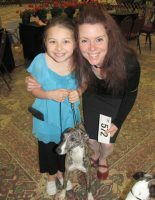 Our dogs are all beloved family pets, and some of them also go to shows and performance events. 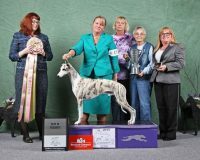 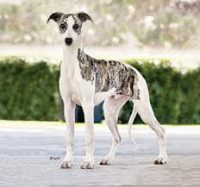 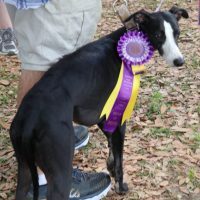 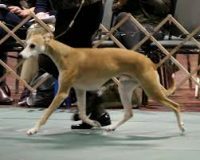 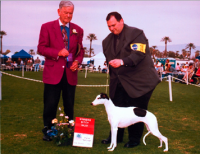 It is our hope to develop a line of happy, affectionate, beautiful, agile, and fast whippets that can be competitive in the show ring, and also in racing and coursing. 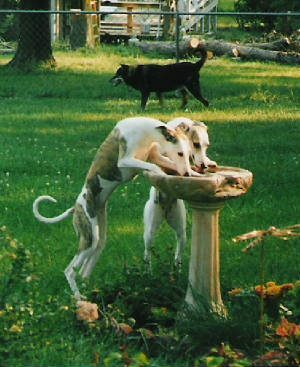 We are very blessed to have a strong foundation to build on, thanks to the breeders of the wonderful whippets in our dogs’ pedigrees.